Maximos the Confessor (580–662) occupies a unique position in the history of Byzantine philosophy, theology, and spirituality. His profound spiritual experiences and penetrating theological vision found complex and often astonishing expression in his unparalleled command of Greek philosophy, making him one of the most challenging and original Christian thinkers of all time. So thoroughly did his thought come to influence the Byzantine theological tradition that it is impossible to trace the subsequent history of Orthodox Christianity without knowledge of his work. 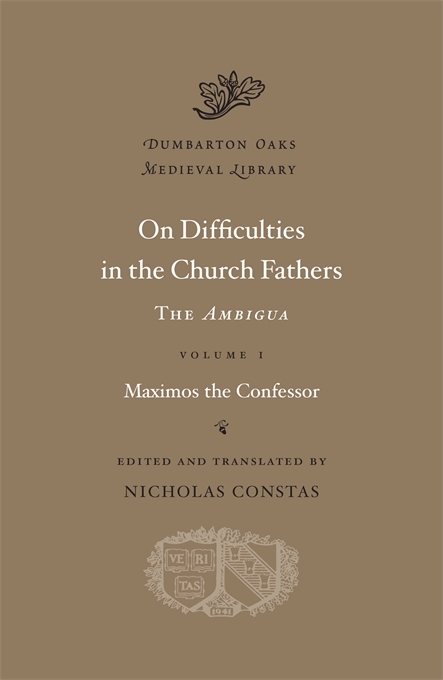 The Ambigua (or “Book of Difficulties”) is Maximos’s greatest philosophical and doctrinal work, in which his daring originality, prodigious talent for speculative thinking, and analytical acumen are on lavish display. 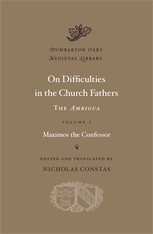 In the Ambigua, a broad range of theological topics—cosmology, anthropology, the philosophy of mind and language, allegory, asceticism, and metaphysics—are transformed in a synthesis of Aristotelian logic, Platonic metaphysics, Stoic psychology, and the arithmetical philosophy of a revived Pythagoreanism. The result is a labyrinthine map of the mind’s journey to God that figured prominently in the Neoplatonic revival of the Komnenian Renaissance and the Hesychast Controversies of the Late Byzantine period. This remarkable work has never before been available in a critically-based edition or English translation.